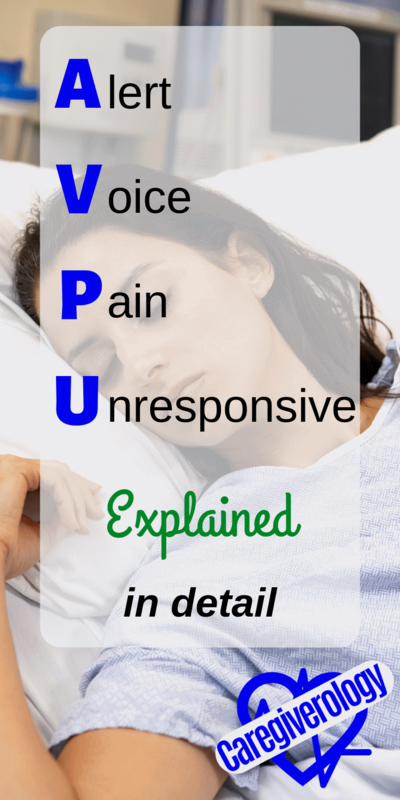 AVPU is an acronym that stands for alert, voice, pain, unresponsive. 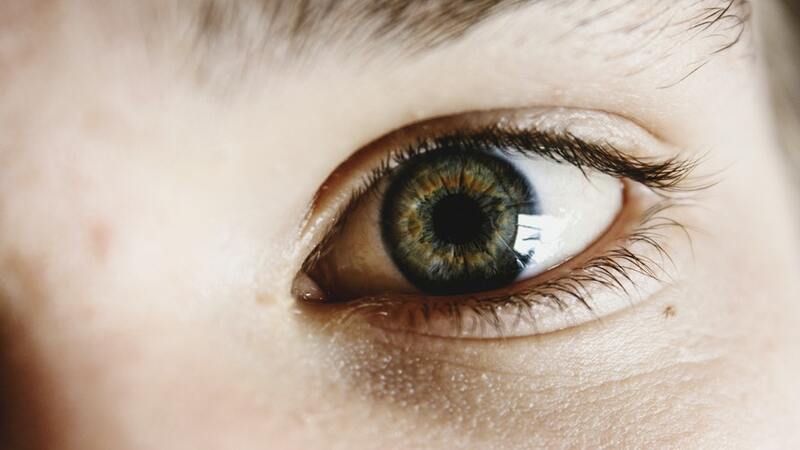 These terms are used to describe the conscious level of a patient. Paramedics often use it when first coming onto the scene of an emergency. It is also often used in hospitals and similar facilities in the calculation of a mews score along with vital signs. It has comparative similarities with the glasgow coma scale (GCS). Alert is a very broad term to use to describe a patient's cognitive status. As long as the patient is fully awake, they are considered alert. They can be drowsy or even confused. But if they are able to open their eyes and respond when you talk to them, they are still considered alert. Voice refers to a patient responding to your voice. You do this by simply calling them by their name or asking them if they are okay. The response can be anything as long as you can tell they heard you. It could be a barely audible groan or any slight movement such as eyebrows raising. If they don't respond to your voice, see if they will respond to another if someone else is readily available. They may be more receptive to a voice they are more familiar with such as a family member. Pain refers to a patient responding to you when you cause them pain. While that sounds like something you should never do to your patients, it is necessary if they aren't responding to your voice. The pain stimulus doesn't have to harm them in any way. It could be something as simple as a sternal rub, which is simply putting pressure and rubbing on their sternum. Another method would be the trapezius squeeze, which is simply grabbing and slightly twisting the muscle in between their shoulder and neck. Pinching the tip of their finger and fingernail is another common method. Unresponsive, or unconscious as it's also known, is just what it sounds like. This is when the patient does not react to your voice or anything you do to them to induce pain. Just because a patient is sleeping doesn't mean you should document them as unresponsive. I say this because I have heard of this being done before. They are only considered so after you have tried to wake them up but you are unable to do so. While AVPU is a very useful method of checking your patient's level of consciousness (LOC), I don't necessarily agree with how it is used in conjunction with a mews score. My problem is, if a patient changes from any of these states to another, they need to be further assessed immediately. For example, if your patient is fully alert the first time you check their vital signs and then only responds to your voice the next time you check them, something is wrong. For a mews score this would only count as one point, therefore, nobody would be alerted of the drastic change. The only time someone would be automatically alerted would be if the patient was completely unconscious and by then, it may be too late to fix the problem. Any change in mental status should be further analyzed right away, not when the score reaches a certain point. Even a change in orientation status often calls for further assessment, especially if the patient isn't known to have a condition that would cause the change such as dementia. What could be causing the change? It often ends up being something that needs immediate attention. I'm not saying that the AVPU system is useless. It is a great system for checking on your patients. I am simply saying that in my opinion, it should be taken more seriously than what the mews scoring system implies. Your own judgement always trumps over a scoring system.